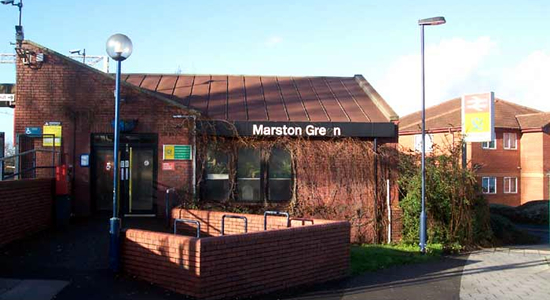 Marston Green station opened in 1844 under the LNWR on their Birmingham New Street to Coventry (and later Euston) line. The station today however, is not the original. 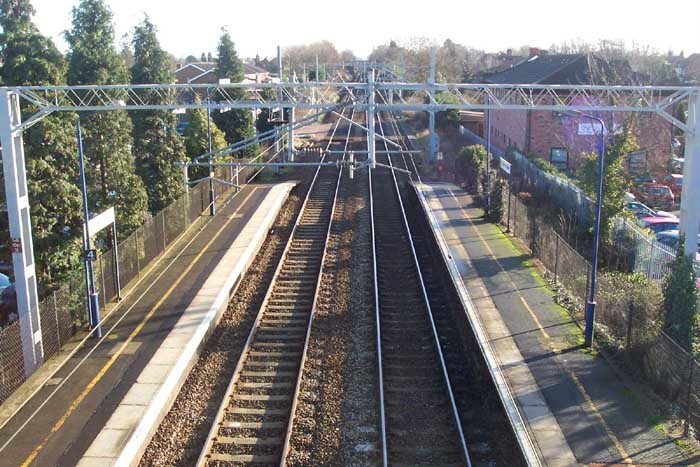 In actual fact, none of the features of the present station are original features but only date back as far as the electrification and rejuvenation of the region's rail services from the mid-1970s onwards. Above we see the station building off Holly Lane. Above-left we are on the Birmingham platform looking towards Birmingham and a fairly bland section of track. Above-right we are in the same spot but looking in the opposite direction towards Coventry with the large windowless red-brick waiting room to our right. 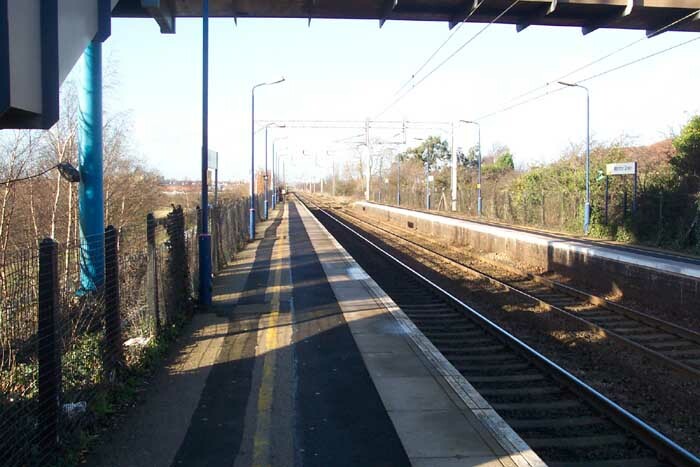 You may also notice that the previous photograph appeared to have been taken from under a footbridge and yet in this image the footbridge can be seen several yards away. 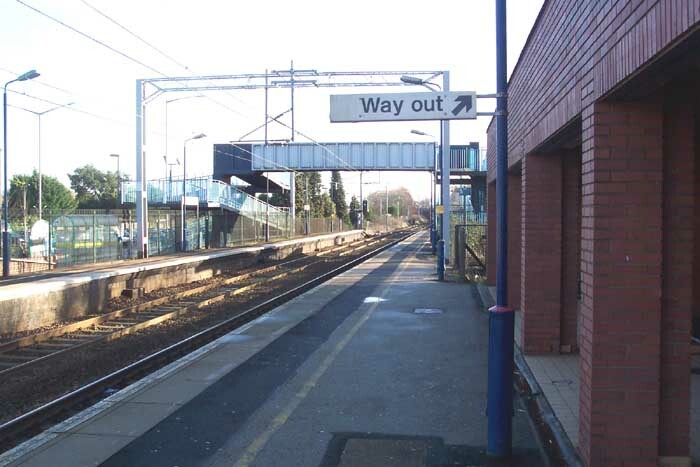 In fact, the station has two footbridges - the one seen in this photograph uses ramps as a disabled access footbridge and its end points are outside the station boundries but immediately next to gateways to the platforms. 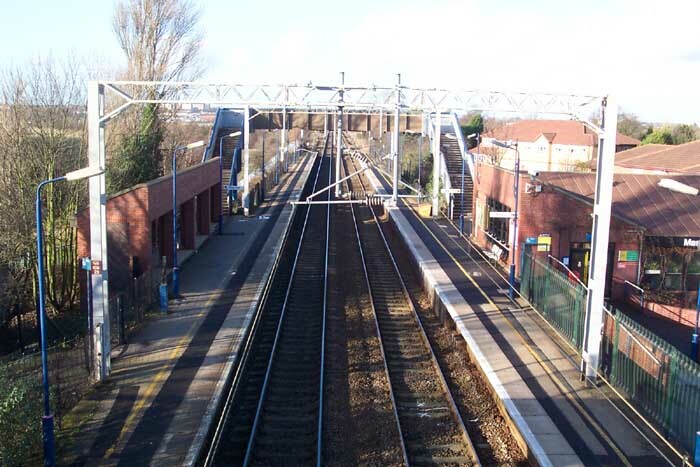 Above-left we see the platform-to-platform footbridge in this shot taken from the disabled access footbridge as we look along the trackbed towards Birmingham. Above-right we are in the same spot but looking towards Coventry through all the electrification catenary. The station is well used which is evidenced by the packed 'Park and Ride' car park and is busy for through traffic too, being just down the line from Birmingham International.